By Peter Anderson 12 Comments - The content of this website often contains affiliate links and I may be compensated if you buy through those links (at no cost to you!). Learn more about how we make money. Last edited March 12, 2019 . 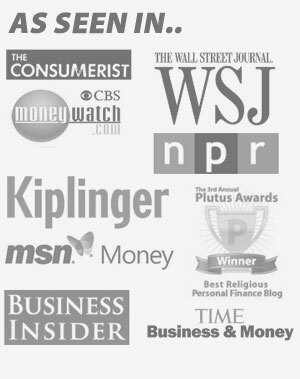 This week over 800 bloggers, financial companies, freelance writers and sponsors will be descending upon the Charlotte area for the 5th annual Fincon Expo, or FINCON for short. Those of us attending the conference have been looking forward to it for months now, and it's hard to believe that it's almost here. I'm looking forward to meeting all of my blogging colleagues that I typically only hang out with online, as well as meeting a ton of new folks and more recent acquaintances. It should be a lot of fun. While the conference should be a good time, the one thing that a lot of people are concerned about are the costs that can be associated with going to one of these conferences. The registration, travel, food and lodging costs can quickly add up, so it's a good idea to try and save where you can. Here are a few ways to do that. 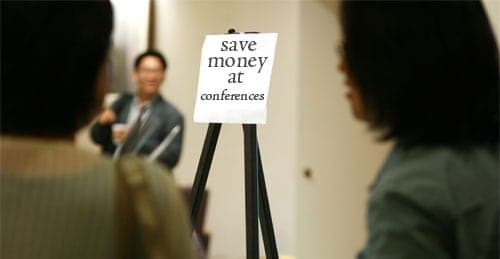 There are a variety of ways to save on conference costs. Register early: Probably the easiest way to save on costs is to just make sure you register as early as possible. Most conferences will have early bird rates available that can save you quite a bit of money. Be a conference affiliate: If the conference has an affiliate program you can sign up for it and promote the conference on your site to other individuals who might attend. I did that for FINCON one year, and recouped a good portion of my ticket price. Be a speaker: Some conferences offer a discounted or free registration to presenters. Might be worth checking into, especially if you may be speaking anyway. How much you save on travel can depend on a lot of factors like how far away the conference is from you, what modes of travel you can take, and how early you're registering. Drive vs. fly: Depending on if you're close enough to the conference it can be cheaper to drive, even if it is a few hours. For me, I checked the costs of flying versus driving the last time I attended, and that year flying came in quite a bit more affordable. The cost of gas was so high that my round trip flight cost about the same as driving to and from Minneapolis. This year the drive is so far that I'll be flying about 2 1/2 hours from the Minneapolis area down to Charlotte. Buy airline tickets early: You can usually find a better deal on your flight the earlier you book it. If you're a little late, sometimes you can find some last minute deals as well – so don't despair. Fly mid-week or mid-day: Flying in off peak times during the middle of the week or in the middle of the day can help you save some money on the flight. The reason? Business travelers are more likely to fly Mondays and Fridays, bumping prices up. Rental cars: There are a variety of ways to save on rental cars including stacking discounts, frequent renters clubs and more. One of the bigger expenses associated with going to a conference is your lodging. Buy at a reduced conference rate: Often conferences will have a block of rooms set aside at a reduced rate. Take advantage of that if you can, although be sure to make sure it's as good of a deal as advertised. Stay at a lower priced hotel: Sometimes you can find a hotel nearby that will have a lower rate. As long as it isn't too far from the conference that could end up working out well. Get a roommate: If you're going to the conference alone you might consider finding a blogging colleague you can room with. I'll be rooming with Kraig from Mathias Media this year to save on our lodging costs. Behind travel and lodging, food costs can often be a big one as well. Take advantage of free sponsored meals: Many conferences will have sponsored lunches, breakfast and even after hours parties. Take advantage of the free food to save some money. Bring your own: There may be some meals that you'll be responsible for on your own while you're there. Consider bringing your own food, or going to a local grocery to get a few essentials like bottled water and snacks to avoid pricey hotel vending machines. Sign up for local coupons: A little while before leaving sign up for email lists for restaurants in the local area where the conference is being held. Often you can get some good coupons to use while you're there. One thing I've heard several times now in preparation for FINCON is that people are planning on buying several new outfits specifically for the conference. While you certainly don't want to look like a slob, from what I've experienced conference dress tends to be pretty casual – jeans and t-shirt or button up shirt for most folks. You may want to bring one nice outfit for evening parties, but don't worry about going too overboard. So how to save? For me I won't be buying a bunch of new clothes, maybe a new pair of jeans and a shirt. I'm not really worried about dressing to impress. If you do buy clothing, buy things you can use for more than just the conference. The first thing I wanted to do when preparing for the conference was to go out and buy a bunch of new gear for the conference. A laptop, an Ipad, a new camera, etc. In the end you're probably going to be using less of the gear than you'd think, and you'll just end up lugging a bunch of expensive electronics around for no reason. So I'm refraining from buying some of the new toys that I wanted to get. I was reading a post from problogger where he was talking about how he brought a bunch of gear to one conference, but wished he hadn't later because all he ended up with was a sore back. Consider bringing just a few essentials, and spend more time talking and building relationships than checking your blog and email while sitting at the conference. For the things you do buy, do your best to find great deals on them. For example, I knew I was going to need some additional business cards for some of the networking events at the conference, but I was able to find a deal for 100 free cards at one site and for 250 more free cards from another site – I only had to pay shipping. Another thing we've done in the past to save money is combining the conference with a family vacation. For example, in 2011, I was already heading to Chicago for the conference anyway, so we decided to take off a few extra days and do a bit of sightseeing while we were there. We were spending the money on travel and lodging already, so we figured – why not add another day or two and make it a mini-vacation? We packed up the SUV and we headed down for the conference – and then for a couple of days in the Windy City. One thing that has been mentioned to me more than once when talking about this conference is the fact that some of the expenses are tax deductible when attending a conference for business reasons. Things that may be deductible (consult your tax professional). 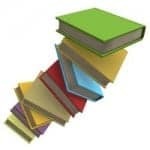 Registration fees: Your fees for the conference and any books or materials are tax deductible. Travel: airfare, train tickets, busfare or standard mileage allowance for business travel. Onsite transportation costs: The costs of taxi to and from the airport or from conference locations. Lodging expenses: Your lodging costs as well as tips to hotel staff. Food: all your meals are deductible, although like any business meal only 50% is deductible. Remember, if you're traveling with family, their costs aren't going to be deductible, only the costs that you would have incurred anyway had you gone to the conference alone. When it really gets down to it your conference trip doesn't have to be as expensive as you think. There are a thousand ways to save, you just have to be creative about it. Save where you can, don't buy the things you don't really need, and plan on having a good time at the conference in ways that don't cost money (networking, chatting, hanging out with online friends in real life!). Do you have any of your own suggestions for saving money? Tell us about them in the comments! Attending a blog conference isn't cheap, but if you do things right attending can add thousands of dollars to your bottom line. Here's how. If you are headed to a business conference, here are some tips that will help you network more effectively. I thought it so funny to see all the requests for roommates when the conference planning got into full swing, not because I think that’s a bad idea but because of how like-minded we all were :) great tips! What happens when you have a blog conference with a bunch of frugally minded personal finance bloggers? You get a bunch of people sharing rooms, bringing their own snacks and getting all the free schwag that they can! ! It sounds funny that people are going out and buying stuff for a financial planning conference! Though I’m somewhat guilty. I bought a new backpack for my stuff and laptop. I made sure I got a great deal though, about half off. I also got a deal on business cards as well. Looking forward to meeting you Peter! yeah, go figure.. :) I think there are always going to be some expenses at these things, but as long as you keep them reasonable – it should be ok.
one of the biggest conference money-savers (and time-savers) that I always keep in mind is staying at the conference hotel (if it’s in the same hotel, or adjacent). if you reserve your room early, like you say, you’ll get a discounted room rate. plus it’s the fastest way to get from room to conference, and you spend way less money on taxis before and after (or parking, if you’ve rented a car), and you waste less time to-and-from in order to prep between for events. have a great time at the conference. wish i was going!! Great tips! I for one take snacks with me where ever I travel to, including conferences. Since I like to eat every 2 hours this makes it a lot cheaper! I don’t spend extra money on clothes or new toys, but I would recommend that if you are going to buy something make sure it does double duty. Such as your new phone is a camera, video, etc. New clothes can be used at work or in regular life. Looking forward to FINCON, see you there! Great tips! I will add that I’m flying there using frequent flier miles. I unfortunately procrastinated too long to snag a room at the conference rate, but I booked using a new credit card that will pay for it with the signup bonus. I hear ya on heavy laptops. I’ve got my not so light laptop that I just upgraded the battery on – but the new battery is huge – and heavy! You too Steve! See you soon! I’m looking forward to checking out your session once I get the virtual pass for all the sessions I missed. It was a pleasure to meet you though! Previous Post: Packing For A Blog Conference: What Gadgets, Software, Clothing And Other Things Should You Bring?